The United States is blessed with hundreds of ski resorts, and many of them make perfect destinations for a family vacation. As soon as your kids can walk they can start skiing, and in fact the younger they are when they start, the more quickly they will get the hang of it. Children have a unique perspective on the joys of snow, and love to see how it changes the landscape, plus of course building snowmen, making snow angels, and having snowball fights! They will probably find the idea of spending a whole week playing in the snow irresistible, but to make sure they do have the time of their lives, stick to a few basic rules for enjoying your skiing vacation. There are all kinds of resorts, and it’s important to select a family friendly location for your trip. Some resorts are geared more towards the experienced skier, with few facilities for novices and children so that they wouldn’t be a good choice. 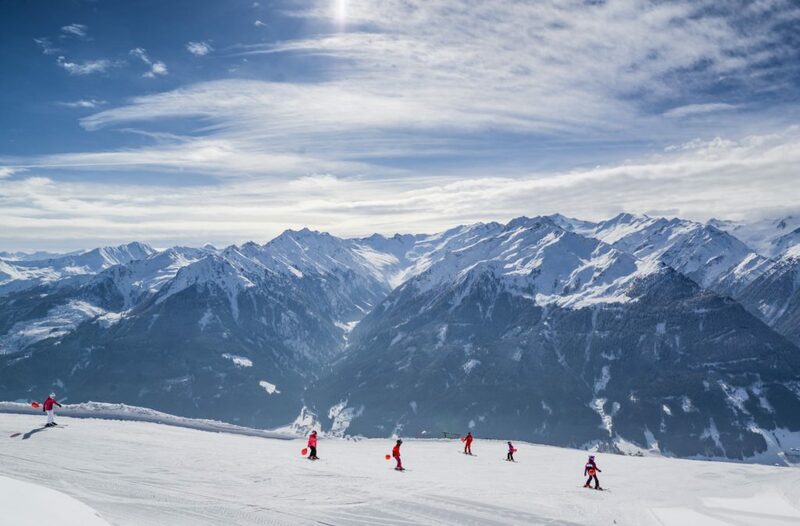 You want to choose somewhere that welcomes families and has suitable nursery slopes, tutors who are experienced in teaching children, and plenty of off-piste activities to keep everyone entertained. Whistler Blackcomb in British Columbia, Vail in Colorado and Jackson Hole in Wyoming are among the most highly rated resorts, and all have a wide range of facilities to keep all members of the family happy. You want the place you stay in to be warm and comfortable, as it will be cold and there could be snowstorms. Feeling snug and secure in your accommodation is a vital counterpoint to bundling up and heading out for a day on the icy slopes. Lodges are a popular choice, which may be self-catering or have a chef service, whereby your meals are prepared and cooked for you each evening. For an indulgent experience and a full range of services, you could choose to stay in top-rated surroundings such as one of the Jackson Hole luxury hotels. This is a great choice if you want to be pampered and not have to worry about cooking and cleaning during your stay. You’ll need to get the kids some suitable thermal clothing and outerwear to keep them warm. Nothing is as likely to put your kids off the idea of skiing as much as getting wet and cold on the slopes, so make sure they are suitably kitted out with everything they’ll need to keep them warm and dry. You’re better off hiring than buying equipment for kids unless you’re going to be spending a significant amount of time each season out skiing because they grow so quickly that boots and skis will soon be outgrown. Make use of the hiring facilities at your resort, at least until you know how keen the kids are. With the right planning and preparation, your skiing trip will be a great success, and you’ll have a wonderful time. Making it as much fun as possible for the kids will instill a love of snow sports into them that will last their whole lives.